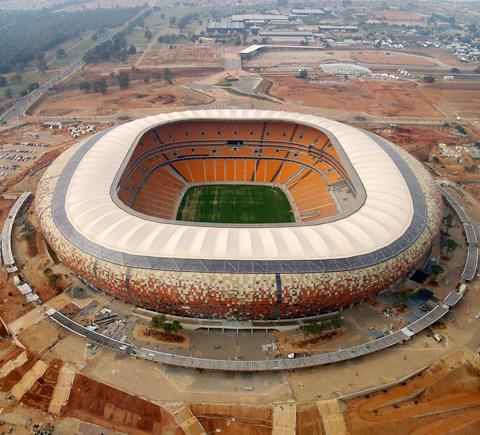 Designed by the architects at Boogertman Urban Edge & Partner, "Soccer City" in Johannesburg, South Africa, is the symbol of the FIFA World Cup 2010 and is already a South African landmark. 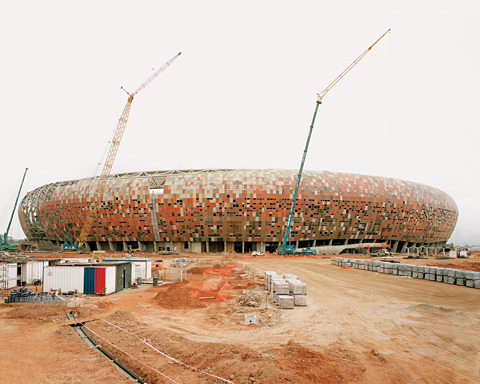 "Soccer City" stands out for its façade that is shaped and colored like a traditional African drinking vessel, the calabash. 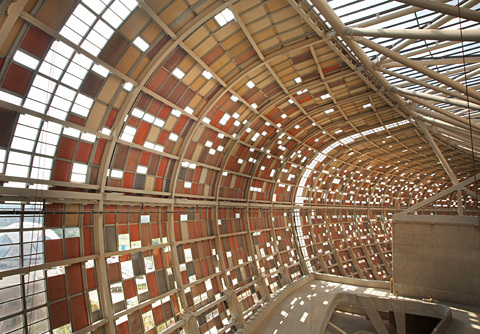 And the calabash meets the exacting structural standards FIFA sets for an ultramodern football arena. 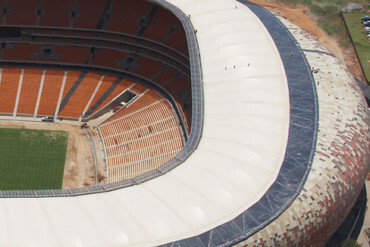 The newly-opened mega-stadium will host the opening game and the final. 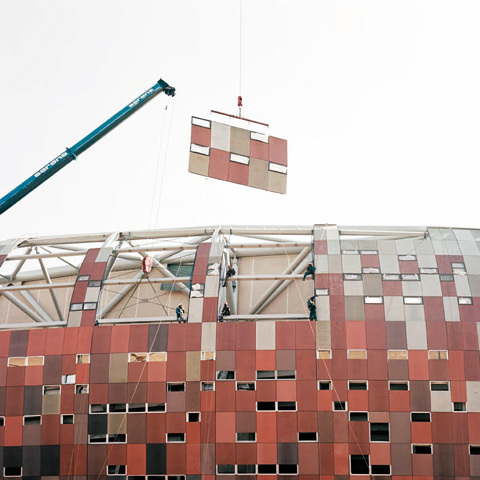 Some 300 days prior to kick-off of the World Cup 2010, the last fiberglass concrete elements were assembled in position on the stadium's façade - they are so-called "fibreC" panels, produced by Austrian company Rieder. 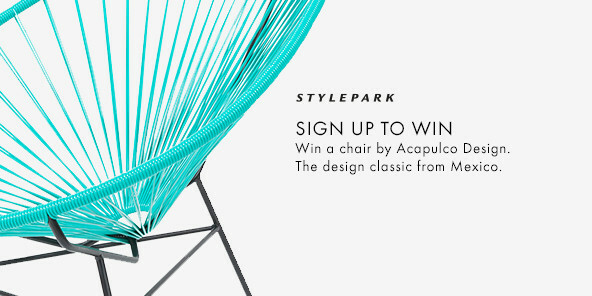 The company has already handled a trail-blazing high-profile project: the "Zaragoza Bridge Pavilion" Zaha Hadid designed for the EXPO 2008 in Spain, which was likewise clad in fibreC panels - and this was possibly one good reason why it was commissioned to provide the exterior of the brand new stadium. 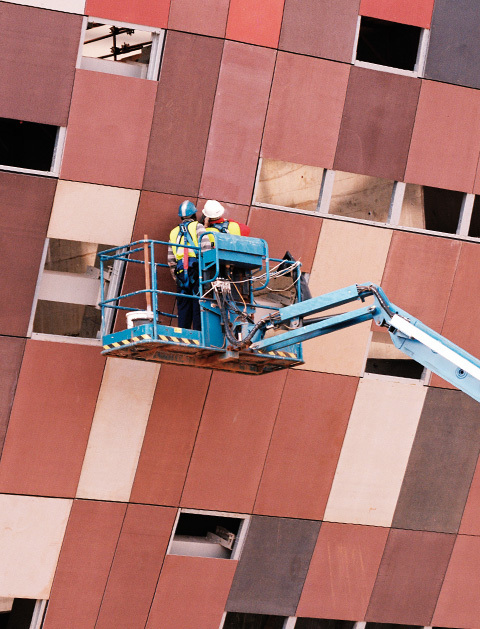 In total, a surface of 30,000 square meters has been covered - with as many as 17,000 fiberglass concrete panels. 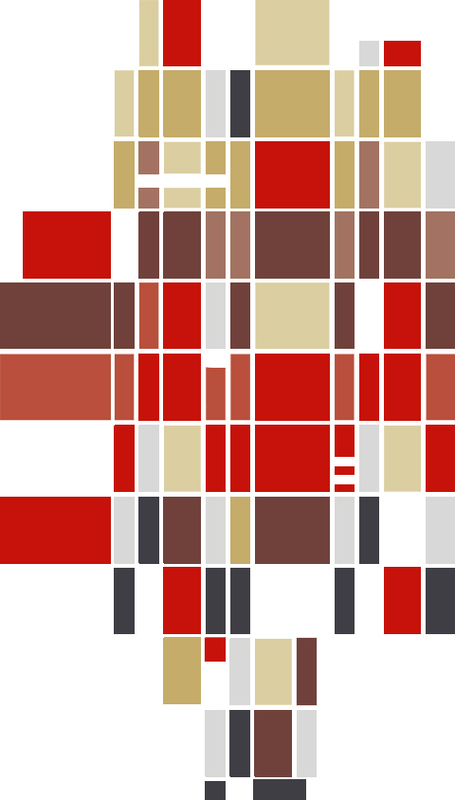 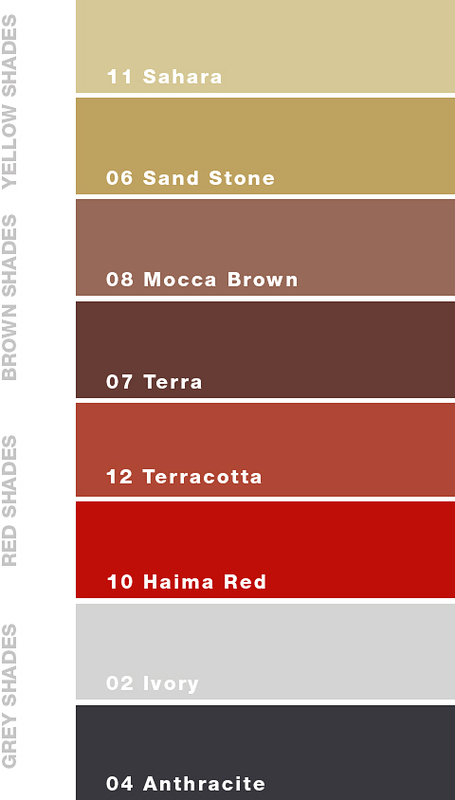 Each element is sized 1.2 times 1.8 meters. 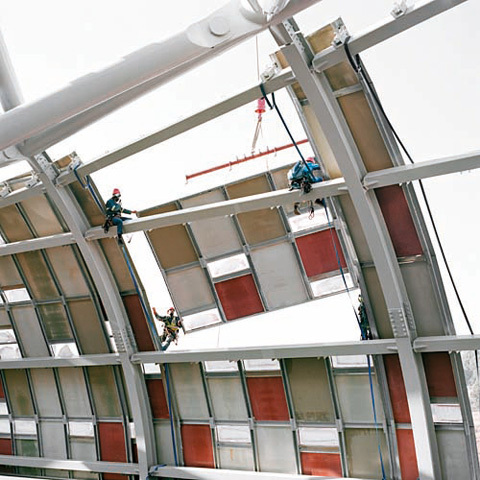 The façade elements are 13 millimeters thick and withstand ambient wind loads and the rain and sun. 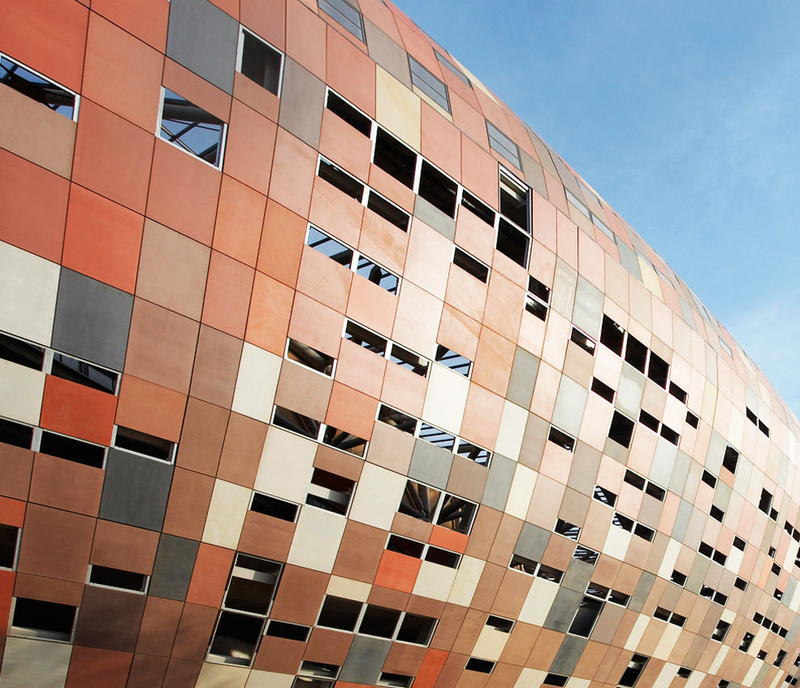 Moreover, the fibreC façade meets all the fire protection and durability requirements that the stadium has to fulfill. 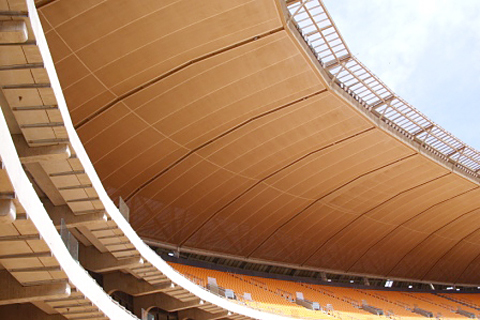 The stadium's roof structure is made of a fiberglass fabric coated in PTFE and dyed in a sand tone to match the facade. 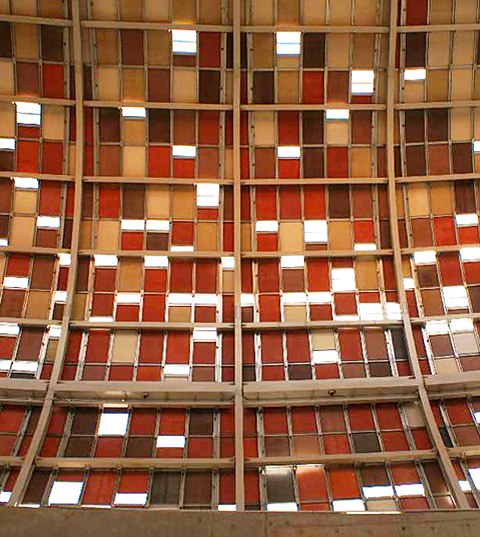 This was produced by Hightex, a company specialized in membrane facades and special larger-scale textile solutions for architectural purposes.